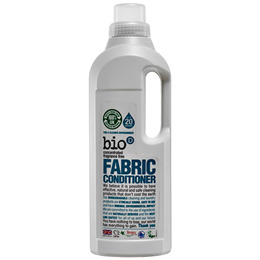 This fragrance free, concentrated Fabric Conditioner protects fibres and leaves your laundry soft and static-free. Suitable for use in automatics, twin-tubs and for conditioning delicate fabrics by hand. It’s hypoallergenic too, which means it’s suitable for the most sensitive skin, and is approved by Allergy UK. Hand Rinse: Add 50ml of Conditioner to a 1L jug od water and pour over the wash. Allow to soak before rinsing thoroughly in clean water. 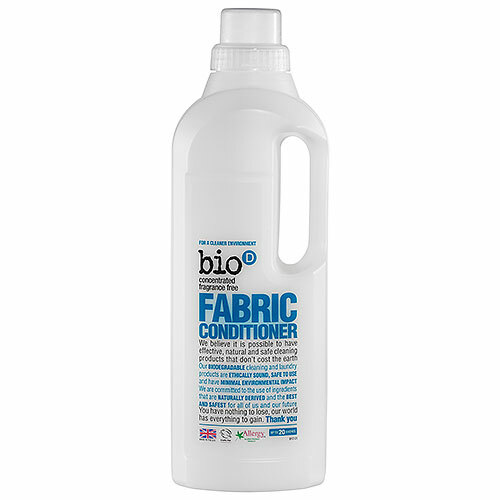 Below are reviews of Bio D Fragrance Free Fabric Conditioner - 1 Litre by bodykind customers. If you have tried this product we'd love to hear what you think so please leave a review. Excellent! As good as any other I've used in the past. This fragrance free, concentrated Fabric Conditioner protects fibres and leaves your laundry soft and static-free. Suitable for use in automatics, twin-tubs and for conditioning delicate fabrics by hand.